It’s time to share Part II of my sister’s wedding photos! Because of the way things worked out on the day of their wedding (and because it was ridiculously cold), we ended up doing the majority of the photos of the two of them on a separate day a few weeks later. 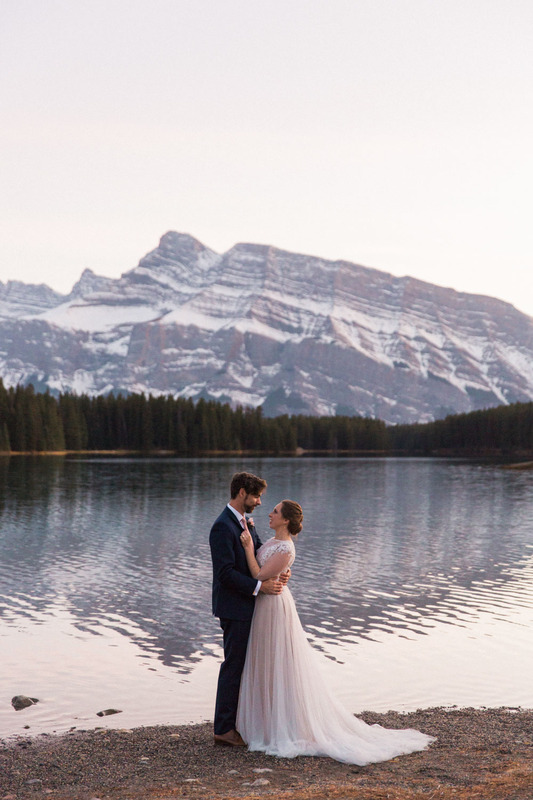 This gave us time to head to Banff to take their wedding photos, and just take a look at the results. Since wedding photos are all about the feelings and emotions of the day, doing them on a separate day isn’t ideal, and I know my sister was somewhat disappointed that this is what she had to do. In an attempt to make these photos just as full of meaning as the rest of the photographs from the wedding day, I had them each write a letter to one another. Check out how this helped by reading about their experience. SINCE WE ENDED UP DOING YOUR PHOTOS A SEPARATE DAY, WHAT DID YOU LOVE ABOUT IT OR WISH YOU COULD CHANGE, IF ANYTHING? 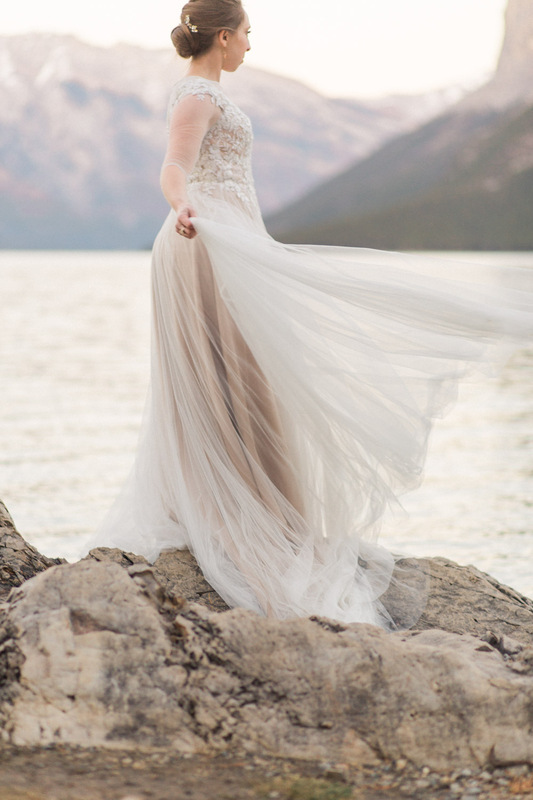 BEN: The day of the wedding was such an intense day, photos in the mountains would’ve been too much. I’m glad we took two separate days to stay somewhat sane on our big day. 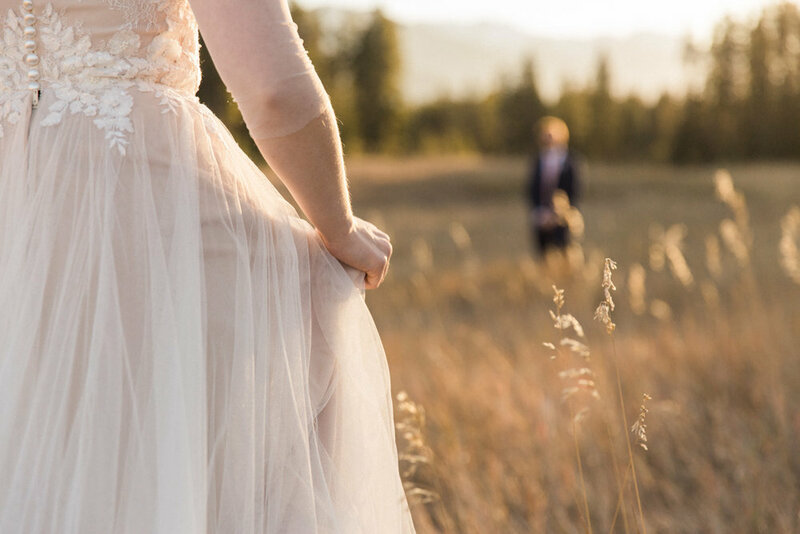 SARAH: It was hard for me to give in to the necessity to do photos on a different day, because I so badly wanted them to be from our actual wedding day. However, I think we were much more relaxed doing them after the wedding. 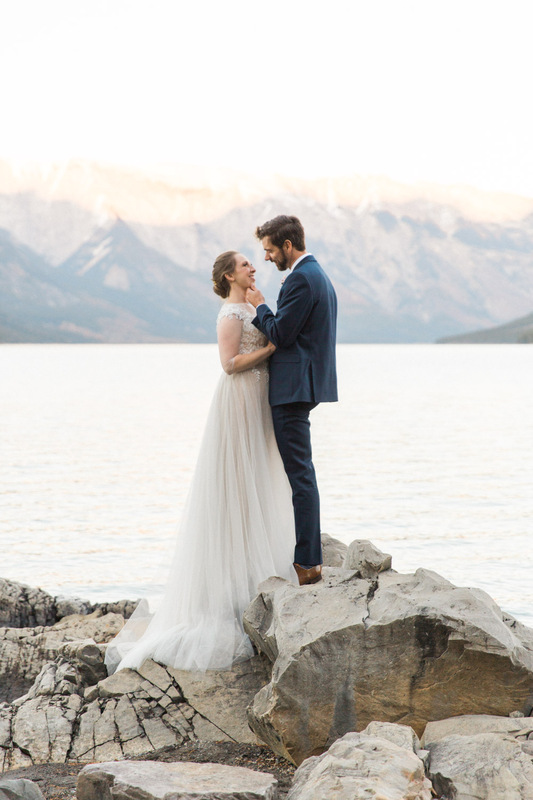 I love that we were able to go to the mountains and the water, because for me there are very few places that I feel as calm and peaceful and happy as I do there, and Ben also loves the mountains. It was a special place for us and not just somewhere random, and I love that. If I were going to do something differently, I would bring more snacks and drinks to keep Ben even happier. We discovered during our engagement shoot that that was really important. It's pretty funny how much of a difference that can make. I ENCOURAGED YOU TO WRITE A LETTER TO READ TO EACH OTHER DURING THE SHOOT, HOW WAS YOUR EXPERIENCE DOING THIS? Taking the time to write out our feelings for one another was really wonderful and added a sense of peace and love to our experience. We read them to each other just before we finished taking photos and it was so nice to remember why we were there. 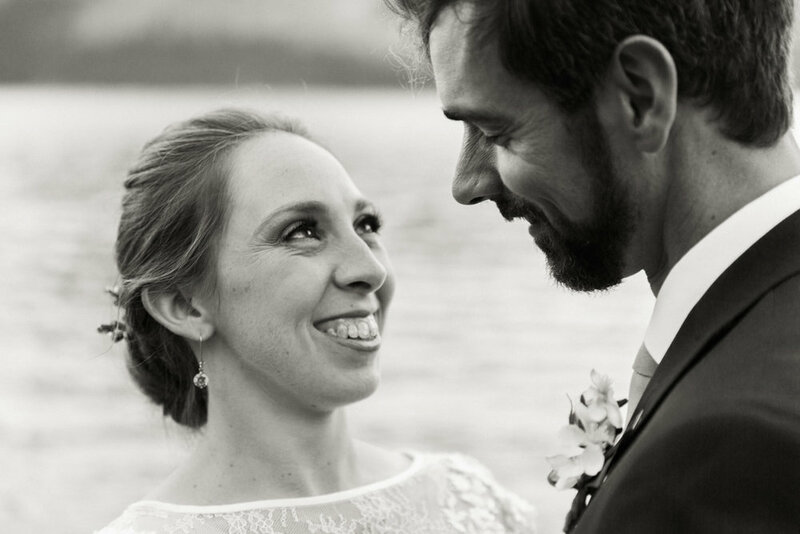 It was a great experience to take some time to reflect on our love for one another after the whirlwind of a wedding and a honeymoon, and to enjoy that moment before heading to Edmonton to start a new part of life together. And now we have those letters to look back on and we can remember how we felt in that moment when we look at our photos. I think, on a larger scale, it is a small thing, but when we take the time to look back at that moment and these pictures, it will help us to find our centre and balance when times get hard. I am really grateful that we did that.